The Texas Rangers apparently have found the missing outfield bat they need. According to FoxSports.com’s Jon Morosi, the Rangers have reached a seven-year deal with outfielder Shin-Soo Choo for $130 million. Choo, 31, give the Rangers the kind of offensive player they’ve been searching in someone who can get on base consistently ahead of big bats like Adrian Beltre and now Prince Fielder. 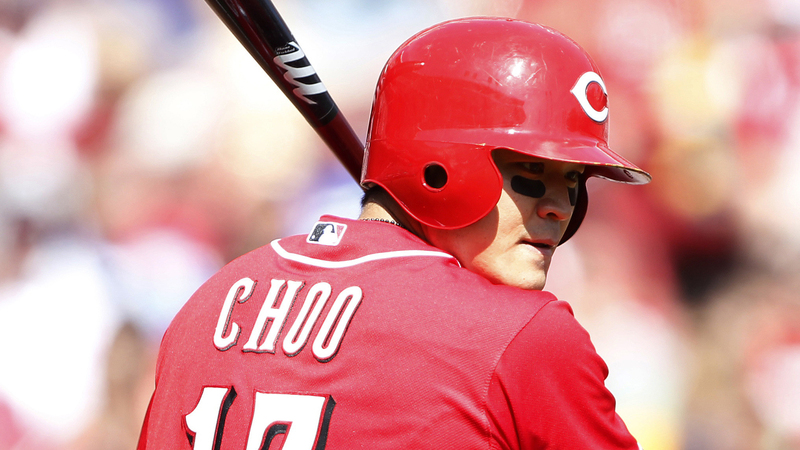 The left-handed hitting Choo set a career high with a .423 on-base percentage in 2013 with Cincinnati. He has a career on-base percentage of .389 and a career batting mark of .288. How the Rangers use Choo in the outfield remains to be seen. He’s primarily been a right fielder but the Rangers have an everyday rightfielder in Alex Rios. The club could put Choo in center and move Leonys Martin to left or Choo could still move to left. The deal with Choo means the Rangers are no longer in the hunt for Nelson Cruz. The free agent outfielder sounded pessimistic about his chances or resigning with the Rangers earlier this week.